This plastic Catholic rosary is available in 7 colors. 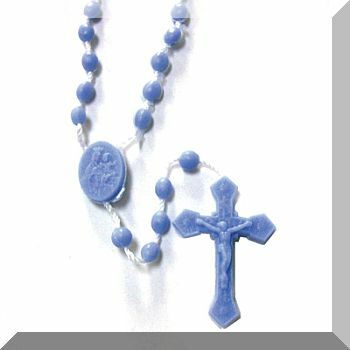 These rosaries would be perffect gifts for students, church groups, or First Communion boys and girls. The luminous rosary glows in the dark.